Hello all - long time no see! 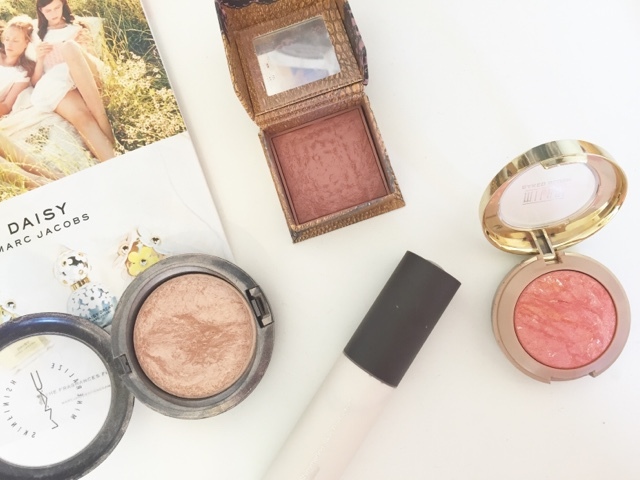 I've been pretty M.I.A on here for the last few months, but hopefully posts will be up regularly once again, and what better way to start than talking about some of my favourite glow - enhancing products? Before applying the base, I like to use my new favourite multi-purpose product, the Becca Shimmering Skin Perfector in Pearl, to add a lovely dewy look to the entire face before applying foundation. This little product just fab as a little really goes a long way, and it can also be mixed in with your foundation or worn over the top as a liquid highlight - my personal favourite way of using it! If blush is more your thing, a new discovery of mine that I'm just in love with is the Milani Baked Blush in Corallina. This little beauty is just the most beautiful peachy coral with a running gold shimmer, adding the perfect flush to the cheekbones with the prettiest, not too 'in your face' highlighting effect. Unfortunately, it is a USA exclusive, so apologies to the UK girls not heading off anytime soon! 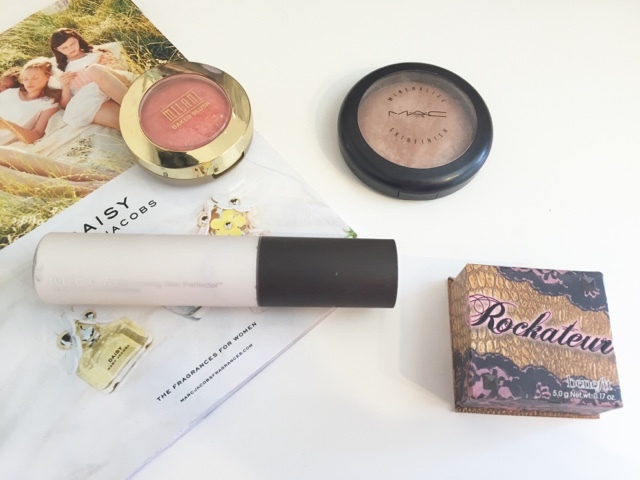 However, it is rather comparable to one of my oldies but goodies, Benefit Rockateur blush, which gives a similar glowing look but with more of a rosey tone. Finally - your typical shimmery powder highlight. One I can't wait to crack out again is the classic MAC Mineralize Skinfinish in Soft and Gentle. Every girl and their mum are pretty much obsessed with this, and it's perfectly understandable as the gorgeous champagne highlight is the perfect balance of subtlety and shimmer, perfect for pairing with your favourite vampy lipstick this season. Thank you for reading (if anyone is still here) and I wish you a lovely week and welcome into October!